Every March, Austin becomes the mecca for all things music, film and technology. With 10 days of showcases and panels, it’s hard to narrow down the possibilities. 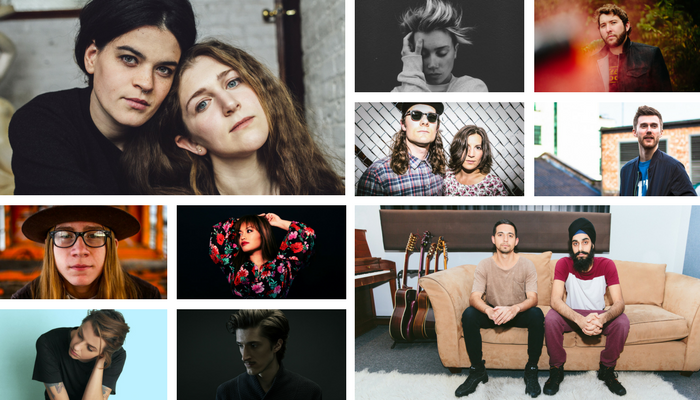 Here are our Top 10 Must See Acts for South By Southwest 2016, and our Can’t Miss Showcase! Rolling Stone recently named Parker Millsap on their “Top Ten Country Artists To Watch: March 2016” list. He has opened for artists like Old Crow Medicine Show, Jason Isbell, Patty Griffin and more. Millsap was also named one of Americana Music Association’s 2014 Emerging Artists of the Year. Should a New Band Go to SXSW? ReverbNation CONNECT artist manager (and former booking agent with The Windish Agency) Sharyn Goldyn has already shared her essential tips for how emerging artists can make the most out of their first tours. Today she answers the big question, should a new band go to SXSW? There’s a lot to think about before you decide. The amount of bands that go each year is insane. The venues are hit or miss, shows are rushed and the sound can be compromised. Almost no shows are paid unless you’re a big name and there’s a big sponsor, so you’re going to lose money right out of the gate. BUT if you have a new release with anticipation around it, money to pay for it, and an agent or someone else helping you get on the right shows, it can be very worth it. Having at least one really good look like a Fader Fort or Spotify House can push the needle for a new artist.